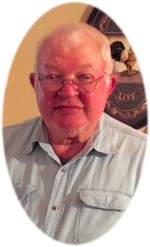 Homer Wayne Jiles Obituary - Newport, Arkansas | Jackson's Funeral Homes Inc.
Mr. Homer Wayne Jiles of Tuckerman, Arkansas, departed this life on Tuesday, February 5, 2019 at Little Rock. He was born September 27, 1940 at Denton Island, the son of Willis and Tina Mae (Simmons) Jiles. Mr. Jiles retired from American Lantern after 35 years of service. During his younger years, he enjoyed hunting and fishing with his children. Later, he loved spending time with his grandchildren, doing yard work and flower gardening, and piddling in his shop. Mr. Jiles was preceded in death by his parents; and three brothers, Randolph, Elmer, and Ralph Jiles. He is survived by his special friend and companion of many years, Ruth Steen Reynolds; one son, Stephen Jiles of Newport; three daughters, Karla Hodge of Tuckerman, Lesa Downs of Batesville, and Kerri Lewellyn and husband, Michael, of Newport; one brother, Pete Jiles and wife, Pam, of Tuckerman; two sisters, Mary Huskey and husband, Phillip, of Tuckerman, and Shirley Summers and husband, Paul, of Bradford; eight grandchildren, Stevie Jiles, Nick Beard, Stephanie Turner, Tyler Downs, Quake Lewellyn, Taylor Downs, Melissa Dawn Mills, and Hunter Jiles; six great-grandchildren; the mother of his children, Sandra Taylor; and a lifetime of friends. Friends may visit at the funeral home, Saturday, 1:00 p.m. until service time. Funeral services will follow at 2:00 p.m. at Jackson’s Newport Funeral Home Chapel, with interment in Dowell’s Chapel Cemetery. Those honored to serve as pallbearers are Stevie Jiles, Nick Beard, Quake Lewellyn, Tyler Downs, Pete Jiles, Jr., and Cash Jiles. Honorary pallbearers are Taylor Downs, Lee Burt, and his American Lantern Family.